Lug a trug! 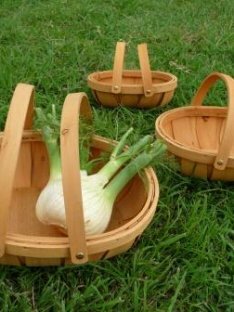 Use our cane carriers to transfer garden cuttings, harvested produce and free-range eggs, or fill with garlic and onions for a rustic looking storage solution. Small – $24. Sorry, Large and medium size have sold out.